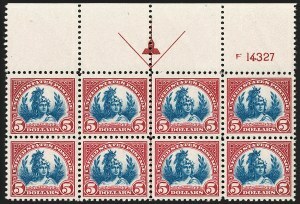 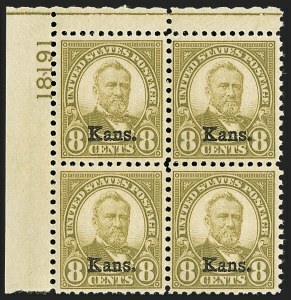 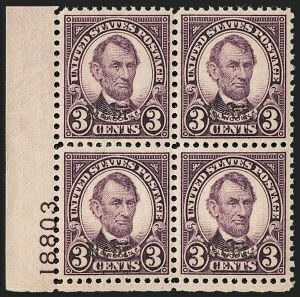 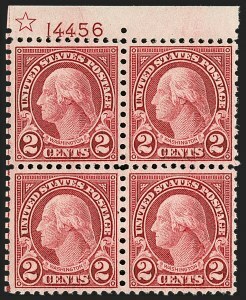 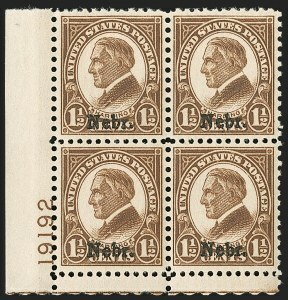 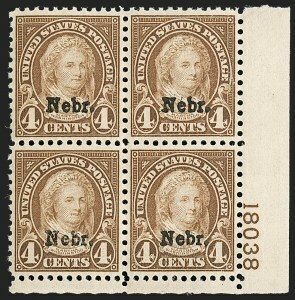 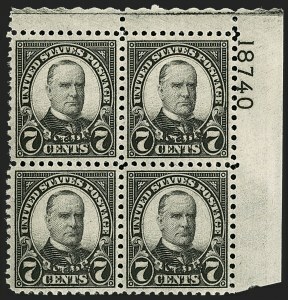 This is one of only two recorded plate blocks of the $5.00 1922 Issue missing the vignette plate number, and it is by far the finer of the two (the other has faults). 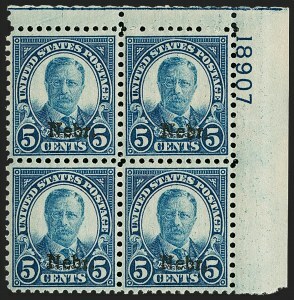 Close examination detects only a single dot of blue ink in the selvage at left, without a trace of the plate number, the $5.00 denomination or the usual blue markers at center. 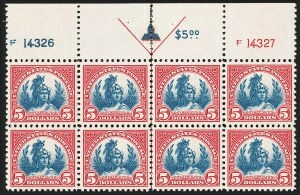 The reason for the error is unclear. 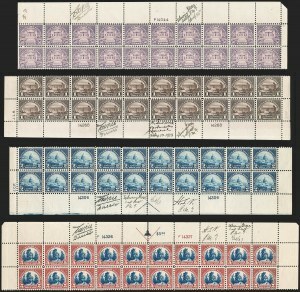 It has been speculated that foreign matter adhered to the plate, causing the blue plate number to fail to print, but we disagree, since the other blue markings normally found in the selvage are also missing. 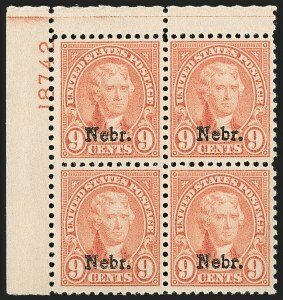 The existence of two examples also supports the conclusion that this numberless vignette plate was used briefly, and then the number was added before additional sheets were printed. 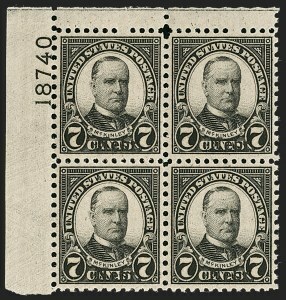 Each was signed on the date of issue. 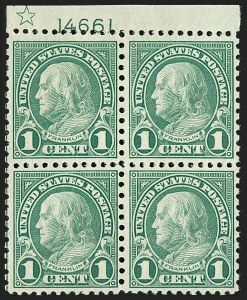 The signatures on the first day of issue help to document the colors as they appeared on the initial printing. 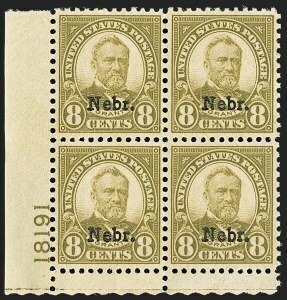 A similar set is in the Miller collection owned by The New York Public Library.